Whitney from the blogue: It's so fluffy! Happy Monday! I hope you have enjoyed your weekend. Did I already mention that I was featured at www.cluelesscurls.blogspot.com ? I really appreciate this beautiful gesture! 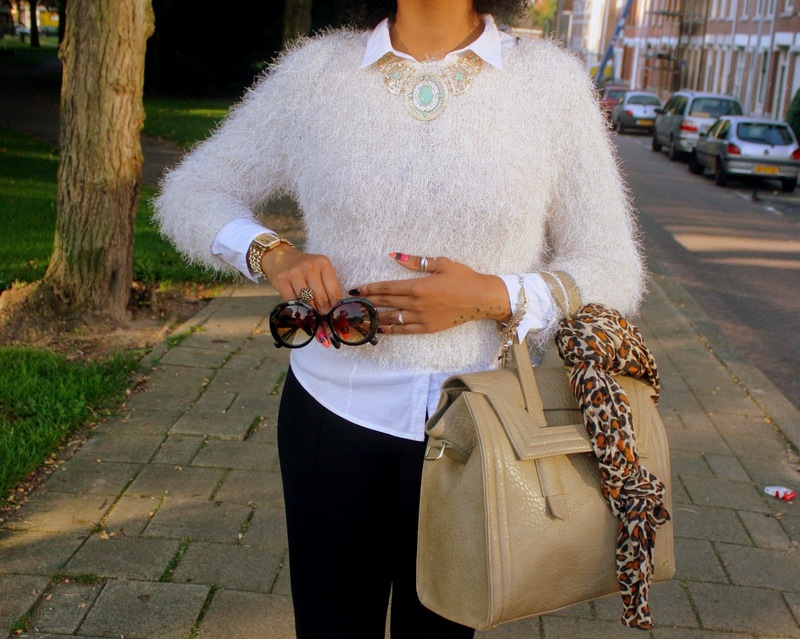 As you probably may have noticed I really love wearing fluffy cardigans and sweaters. It feels so nice on your skin and makes your casual outfit extra awesome. I wanted to pimp this bag up and I tied a scarf to it.